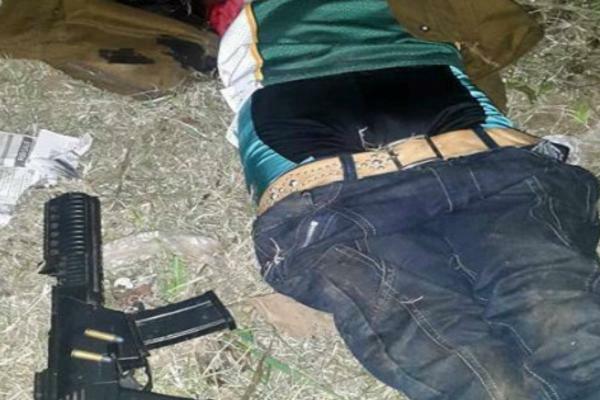 One of the most wanted criminals was among those gunned down in Kisumu on Tuesday night during a special police operation in the area. Assistant IG Joseph Keitany who confirmed the incident said that the gangsters shot had with them homemade guns and were said to have been stealing and terrorising the residents in the city. He said that one of the gangsters identified as Ochono alias Kosgei was planning to steal from an Mpesa shop in Gesoko, Manyatta area but his day had come. He confirmed that Ochono's two accomplices escaped on a bodaboda and shot at police officers who tried to stop them. Police commandant Nelson Njiiri said that the members of the public have been working together with the police in identifying the suspects. Njiiri sad that the suspects may have been part of a gang that staged robberies. killed and raped residents in Nyalenda, Manyatta, Obunga among other areas. Its only a couple of months ago when police commissioner Joseph Boinet commissioned three police post in Nyalenda, Obunga and Migosi and gave orders to the police to act swiftly against the criminals who had become too much. Boinet's orders came after a series of criminal activities were reported in all the three areas and had become too intense.